Applying for a visa to China can be a frustratingly complicated ordeal. My passport currently has over 20 different China visas in it so trust me…I understand! If you’re a U.S. citizen like me, the use of a China visa service can make this process so much easier. Let me share with you what I do and my recommendation for the best China visa service. Since my arrival to China in 2006, I’ve applied for a Chinese work visa, a tourist visa, a student visa and a business visa. I’ve done my fair share of China visa applications! I’ve done the process by myself and I’ve used a 3rd party company. Personally, I use and recommend a trusted China visa service like Passport Visa Express and I’ll explain why in a moment. *Note: Some links in this article are affiliate links, which means that at no extra charge to you, I might be compensated if you decide to use some of the services described. I don’t recommend anything I haven’t used and if you scroll below you’ll find that I’ve even negotiated an exclusive discount for you. Thanks for your support! It used to be that the Chinese consulate in the United States would allow for visa applications by mail, but that is no longer the case. There was a staggeringly high rate of rejections due to small errors in the application and the consulate didn’t want to constantly be mailing these things back and forth. For that reason, your China visa application must be submitted in person – either by you or a proxy. 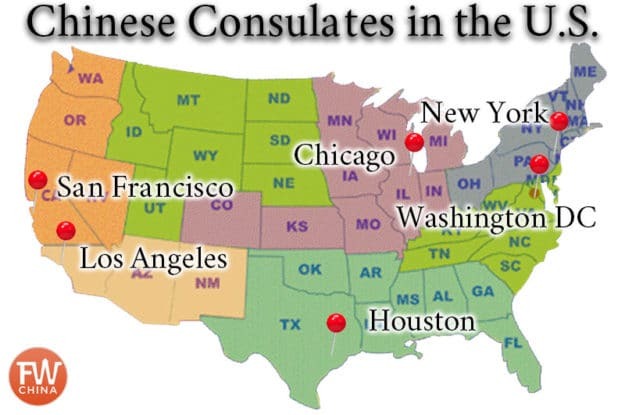 To make matters a bit confusing, however, you can only submit your China visa application to the consulate which serves your particular state. 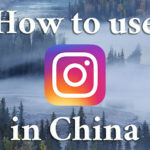 For example, if you live in Utah, China requires you to submit to the Washington DC consulate even though the Los Angeles or San Francisco consulate may be closer. 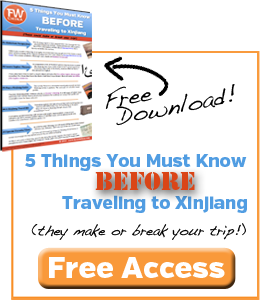 Pick up and Drop off in Person: Dropping off your China visa application and picking up your newly issued China visa must be in-person, and the time it takes to finish the process isn’t guaranteed. For this reason, even though I’m from Dallas (4 hours drive from Houston), it would require me to spend two whole days driving…and I can’t know for sure in advance which day I’m going to pick it up! Mistakes Happen: Let’s say you drop off your passport with application and the consulate calls you to say that you forgot to fill in one box or sign one piece of paper. You would have to drive all the way back to the consulate to pick it up and make the necessary changes. Unless you live right next door to a Chinese consulate, I’ve learned the hard way that the fee for using a service like Passport Visa Express can save you tons of time and money in the long run. Learn from my mistake: I’ve had my China visa rejected before because of a small typo. It was ridiculous and it was a headache to fix. It was at that point that I swore I would never do the application process again by myself! What you may not realize is that you might be using the China consulate in the US for more than a simple China visa. Perhaps you need a new passport since China requires at least 6 months of validity to issue you a new visa. It’s not too hard to do this yourself at your local authorized passport center (usually a post office), but it can also be handled by a passport and visa service company. If you’re applying to be a student or for a work visa, China also requires that you submit authenticated documents proving your education, marriage or even your citizenship. A Seal from the Chinese Embassy which certifies that the letter from the Secretary of State is authentic. Trust me when I say that the process is a headache. It’s another reason that I recommend using a service like Passport Visa Express – they can also handle getting your documents authenticated. If it’s not plainly obvious right now, my suggestion is that you consider using a trusted visa service to help you along as you apply for your China visa. Not only will they help make sure that your application doesn’t have any errors, they will also arrange for drop off and pickup from the Chinese embassy. There are numerous services available for US Citizens to use to get a visa to China, but I’ve personally used Passport Visa Express many times over the past decade and I’ve always been happy. Thankfully, they’ve agreed to offer a 10% discount if you use the code FWC10 when you check out! 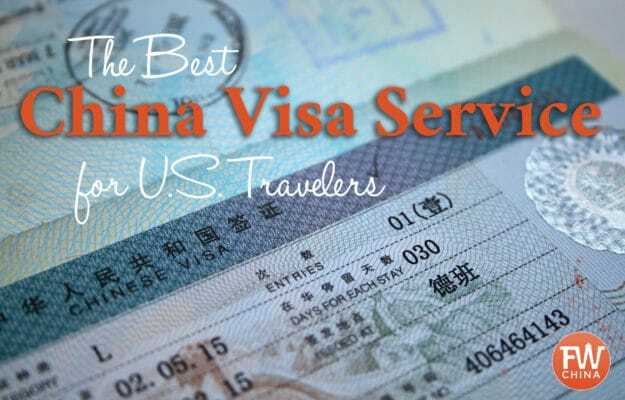 When it comes to the best China visa service for US citizens, that is what I recommend. Do you have any other thoughts?